Give your students the practice they need decoding many different letter combinations while also increasing their fluency and reading comprehension! 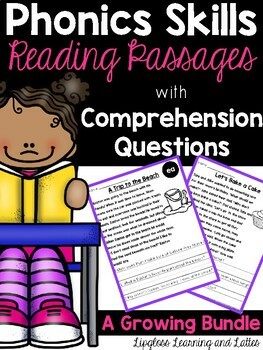 Each passage focuses on a different phonics skill that has been woven into the reading passage. 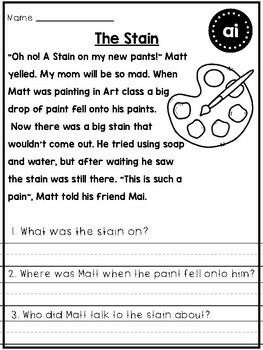 After, reading each passage there are 3 comprehension questions that give students practice going back into the text to answer. ee, ea, y ( with a long e sound), ie. 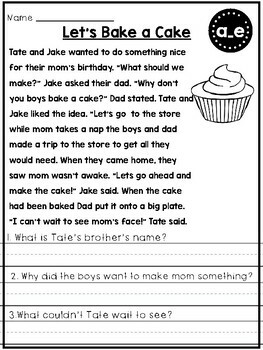 This is a growing product and will include many more passages which focus on many more phonic skills! As the product grows the price will increase.